Founded in 1855 by Samuel Golding, Cheapside Store (No.11 Wellington Street) was the first incarnation of what would subsequently become Golding of Newmarket, Clothiers & Outfitters. 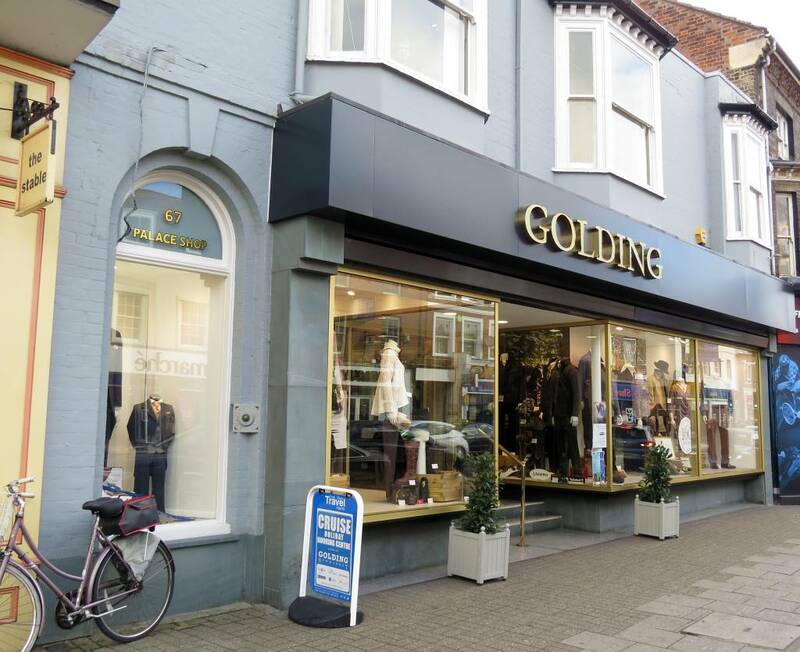 The business proved to be so successful that it outgrew its humble beginnings within eight years and had to relocate to larger premises (No.67 High Street), later being owned by his son Herbert Samuel Golding. It was also renamed The Palace Shop, an apt name as the new location was King Charles II's Palace. The Golding family name was eventually adopted and soon became a household word amongst the horseracing world and has remained so ever since. The business thrived over the following century and stayed in family hands until Peter Golding retired in 1998. 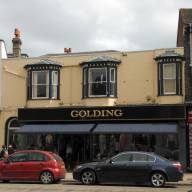 To ensure that the Golding traditions would continue, he decided to sell to fellow independent retailer Coes, another family run business. 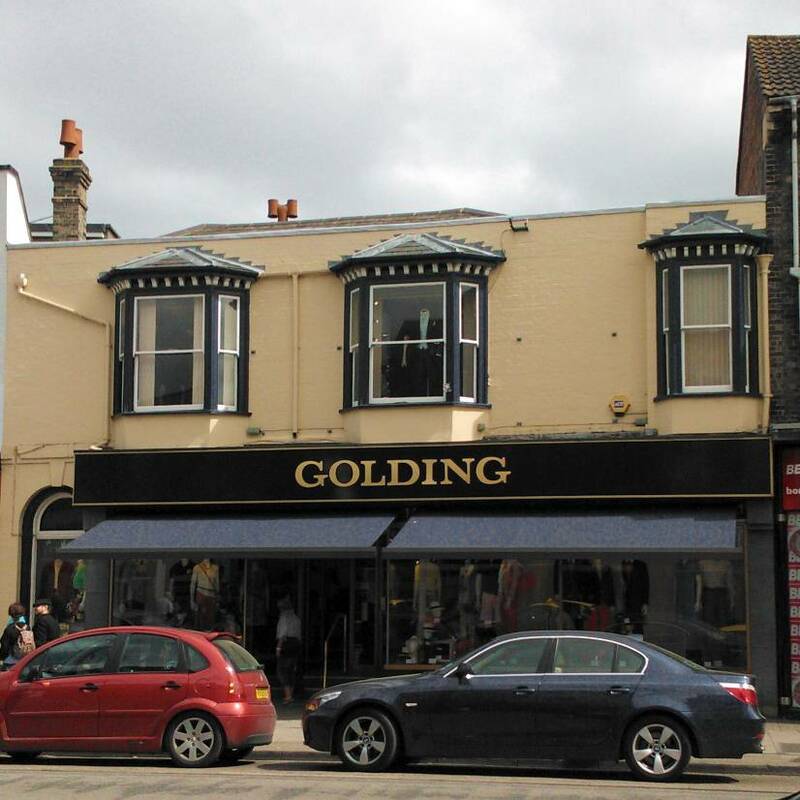 On the 1881 census Samuel Golding is shown in the High Street at what was called 'Hatters Shop' ... on the 1871 census the location is more obvious and is clearly this premises - so 'Hatters Shop' must have been an original name for No.67 High Street. In 1888 Samuel Golding bought up most of the property between the Rutland Arms and the Star Inn in the High Street that had once been part of the old royal palace, this included Palace House. 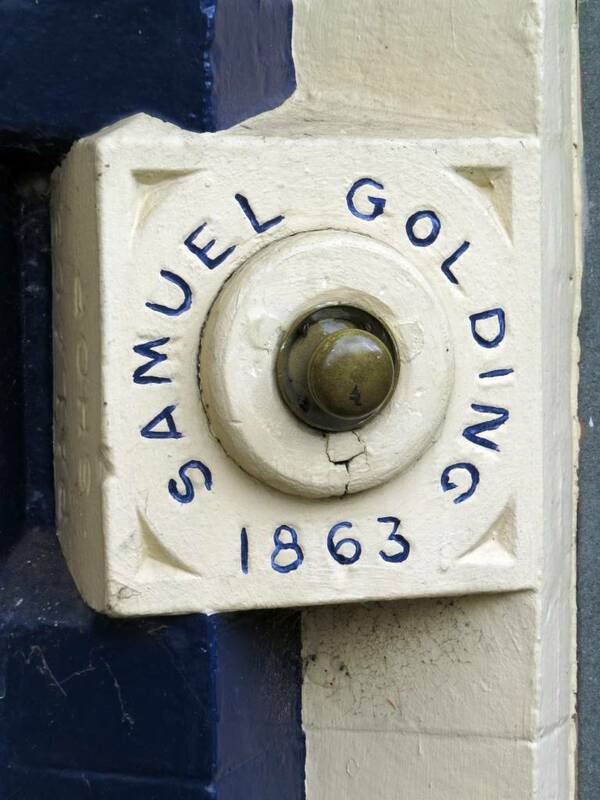 Samuel Golding had retired by 1891 and moved to 'The Glen', a house located in what is now The Avenue. 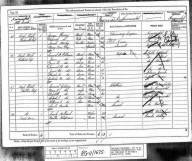 His sons Herbert Samuel and William Andrews Golding continued the business at No. 67 High Street. As detailed in the History list above this shop is built on part of the site of King Charles II's palace. Further details about this building's association with the palace can be seen in the archaeological report shown below - the remains of a medieval Ice Well can be found in the yard at the rear of the shop, which was originally situated in the corner of the palace garden. The shop itself was the site of the Lord Chamberlain’s office, which was demolished in 1815 and the area became the forecourt to the Queen Anne’s pavilion (which was located where the Congregational church once stood next door). This was sold to gambling club owner and bookmaker William Crockford in 1817 and then subsequently part of the site including the Ice Well was put up for auction in 1819. The photo of Peter Golding is by kind permission of the Newmarket Journal and the Newmarket Memories Facebook page. Many thanks to 'Old Newmarket' for the photos 'Goldings Advertisement 1970', 'Centre of High Street c.1950s' & 'A float going down the High Street c.1920s'.